Fowl Play - Chank Fonts! This font, well, it’s for the birds! Fowl Play was inspired by an overzealous employer and his extreme hatred for the neighboring geese. 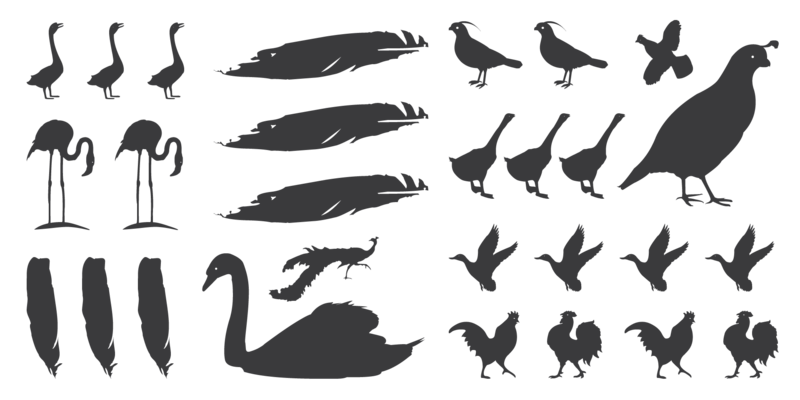 Fowl Play offers 26 bird silhouettes with flipped silhouettes in the uppercase letters, allowing for easy mirror-image design. 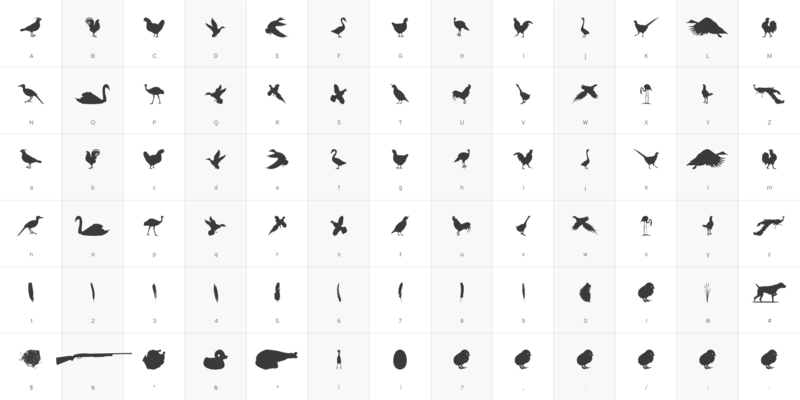 The numbers are feathers and the punctuation features an assortment of bird accessories, including a nest, a hunting dog, and a gun. In addition to flying ducks and standing flamingoes, you’ll find turkey drumsticks and rubber chickens in this fine feathered font.